Have you ever been told that carbs make you fat? Well, I have and between all the success “low carb” diets are having — like Atkins or Paleo — one might actually think carbs have to be bad. Unfortunately, this carb-loving girl has to disagree with the theory that carbs are bad. I believe carbs are an important part of any diet. In my case carbs are my body’s main fuel source for when I workout and it’s important for me to get the right kind of carbs into my body throughout the day. Lumping together carbs like fruits, veggies, grains, cookies, ice cream and candy into one category and saying all carbs are bad is just asinine (that is not a sugar). All carbs are not created equal as each carb functions differently in your body making some carbs better than others. So if your diet is attempting to get rid of carbs because “carbs are evil” you need to stop and take a hard look at what a carb really is and how it functions in your body. Since most people don’t know what qualifies as a carb I’m going to help break it down for you. We look at the food we eat as just food instead of looking at food as a fuel source for our bodies. 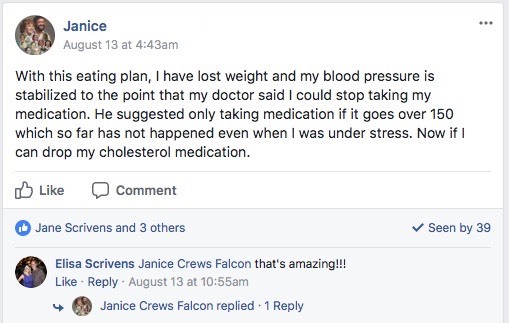 So when unqualified nutritional information floods us it not only confuses us it also gives some of us the bright idea that we have the correct nutritional knowledge to adjust our diets but in the end, we just make ourselves miserable. Instead of making ourselves miserable wondering whether or not the carbs we’re consuming are either good carbs or bad carbs let’s educate ourselves with facts. Looking at this list we can finally be real with ourselves and admit that not all carbs are bad. Understanding how these foods are classified and how they work in our body can help us choose which carbs are better for our body. Did you know there are two main types of carbohydrates: simple and complex. Starch and fiber can be found in complex carbs, while sugar is found in simple carbs. Simple carbs are basic sugars with little to any nutritional value for our body. This usually comes from the stuff that you can’t stop eating. Candy bars, donuts, milk duds, chocolate-covered grasshoppers. Sucrose: Also know as table sugar or cane sugar. Sucrose occurs in many fruits and some vegetables. Fructose: Known as fruit sugar which most plants contain, especially fruits and saps. Glucose: Sometimes known as blood sugar. Nearly all plant foods contain glucose. Maltose: Known as malt sugar can be found in grains. Lactose: Commonly known as milk sugar. It is the principal carbohydrate found in milk. Most of us probably didn’t realize that fruits and veggies are actually simple carbs composed of basic sugars, but they are drastically different from most simple carbs. Fruits and veggies both contain fiber that changes the way the body processes the sugars making them more like complex carbs. Although it’s easy to think that our body wants us to consume that whole box of donuts because they taste good, the reality of it is our brain knows that those donuts contain carbs that can provide us with a source of energy. Once simple carbs are absorbed into the bloodstream, your cells take in and can use for immediate energy. Glucose (simple sugar) fuels the brain and working muscles in the body under anaerobic conditions, or circumstances in which oxygen is scarce. Think about when you are running up that hill and feeling light-headed. The body is searching for the Glucose that it has stored if it has any stored at all. Simple carbs can also provide your body with energy that it can store for another time. If you over indulge on simple carbs, the cells in our body will take the excess carbs and convert them before storing them. Simple sugars can also be converted into glycogen which is stored in the liver and muscles, and fat, which is stored in adipose tissue. Yeah, that’s fancy sounding lingo, but the idea behind all of this is that you don’t want your body to store up too much of this kind of sugar. This is why what you put into your body is more important than the type of exercise that you do. 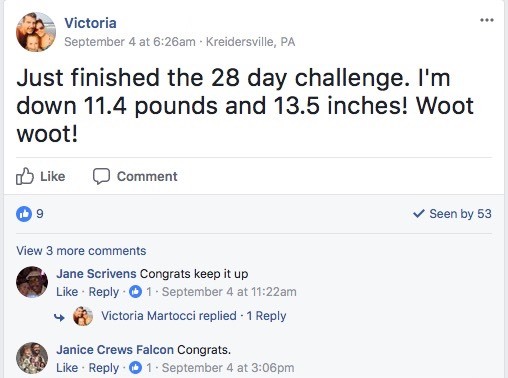 You can work out all you want, but if your body is converting simple carbs and storing them as fat in your body, then you are just going to be a fat thing that has a good mile time. When it comes to getting fit and losing weight, the first step everyone should consider is cutting out simple carbs. Just by doing this you can start to see a drastic change in your body. You can enjoy simple carbs on occasion, just don’t make them the to go sources of carbs. And within the simple carb category, there are better options to choose from — sweet potato over baked potato, brown rice over white rice, wheat pasta over regular pasta, dark chocolate over chocolate, and froyo (frozen yogurt) over ice cream. If the carb is high in sugar but low in fiber then it is less healthy than one that is high in fiber. Good carbs like complex carbs are plant foods filled with fiber, vitamins, and minerals. When healthy complex carbs are consumed your body breaks them down into glucose to use as fuel or to store in muscles as glycogen. When your body has a sufficient amount of glucose and glycogen fuel your body will run properly. When you look for complex carbs to put into your body, take a look at fibrous and starchy carbs. Fibrous carbs are found in plant foods which we can’t digest which does wonderful things for our bodies. Fiber is extremely important because it slows down the absorption of nutrients eaten to help keep your blood sugar levels even, it also helps lower LDL cholesterol and helps keep our bowel regularity. In other words, fibrous carbs can help you poop. You need fiber in your diet. Beans and legumes. Think black beans, kidney beans, pintos, chickpeas, white beans, and lentils. Hard to beat a good chili. Starchy carbs are a good source of energy and contain a wide range of nutrients. Starchy carbs also contain fiber, calcium, iron and B vitamins. Complex carbohydrates are key to long-term health and maintaining your overall heath and weight. So when shopping at the grocery store, stay focused on choosing complex carbs to help fuel your body properly. The Nutrition Facts section on food labels can help you sort the carbs you are consuming when looking at total carbohydrate, dietary fiber, sugars and other carbs. Here’s what to look for from each section on the nutrition label. When tracking the total amount of carbs in the food, per serving, look at the Total Carbohydrate on the food label. You may not know this but if you take a look at the food label you’ll see that the grams of Fiber, grams of Sugars and grams of Other Carbohydrates will add up to the grams of Total Carbohydrate. The Dietary Fiber line on the nutrition label tells you the total amount of fiber in the food, per serving. Dietary fiber is the amount of carbohydrate that will be eaten without being absorbed. Sugars listed on the label will include the total amount of carbs from sugar in the food you eat. The sugars will include natural sugars like lactose, fructose and added sugars like high-fructose corn syrup. It’s important to know the what type of sugars you are consuming whether it’s natural sugars and added sugars. To get an idea of how many grams of sugar you’re consuming check the list of ingredients on the label. See if any of those sweeteners are in the top three or four ingredients as the first couple if ingredients make up most of the food you’re consuming. The category Other Carbohydrate contains the digestible carbohydrates you eat. Natural or added sugars are not considered in this category. Sugar alcohols can be found on some nutrition labels under Total Carbohydrate. Sugar alcohol carbohydrates are important for those who have intestinal problems as sugar alcohols can cause gas, cramping, or diarrhea. Sugar alcohols are usually listed as lactitol, mannitol, maltitol, sorbitol, xylitol, and others. It’s important to remember that your body needs carbs regardless of what your weight loss goals are. Even if you are trying to drop a few pounds you still need to consume complex carbs for your energy levels. Carbs become even more important if you’re getting your workout on. Without the proper carbs, your body will begin to break down your muscle tissue to fuel your body, which will sabotage your efforts. 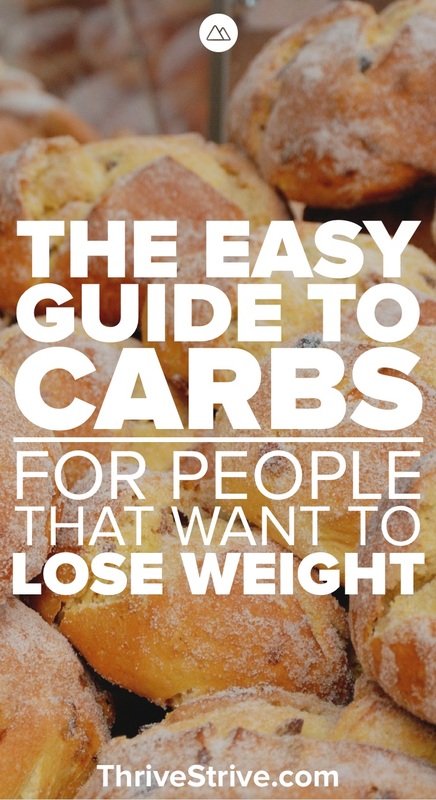 Enjoyed Understanding Carbs: An Easy Guide for People That Want to Lose Weight? Share it with your friends so they to can follow the Thrive/Strive journey.